Growth in steel demand is expected to remain subdued in China next year as the government continues to shift its focus from manufacturing to services and steps up environmental protection measures, according to the World Steel Association. "China's steel demand may remain relatively stable in 2018," said Wang Guoqing, research director at the Lange Steel Information Research Center. "Real estate controls and environmental protection measures have weakened steel demand, despite higher demand due to infrastructure investment and mechanical products associated with the Belt and Road Initiative." During the first eight months of this year, China's infrastructure investment grew 19.8 percent compared with the same period last year, and is expected to maintain a higher growth rate for the rest of the year. 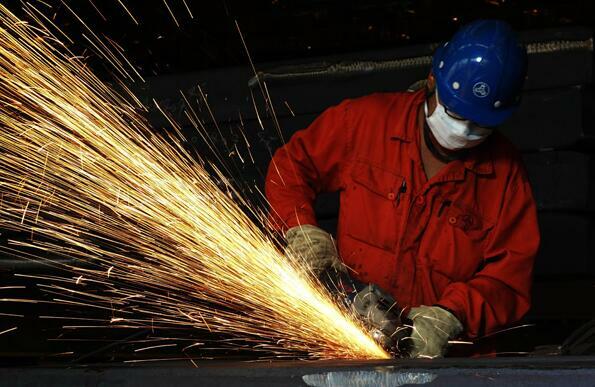 Domestic demand of steel products in the country is expected to see further growth next year, thanks to the robust development of the economy, said Li Xinchuang, vice-chairman of the China Iron and Steel Association, who shares a different opinion from that of the World Steel Association. "Next year would be the first year for the country after the 19th CPC National Congress, which will promote economic growth with all strength, resulting in higher steel demand." The World Steel Association released its October 2017 Short Range Outlook on Sept 16 and forecast that China's steel demand would increase by 3 percent in 2017, an upward revision over the previous forecast. Sublime China Information, another steel industry body, has estimated that China's steel consumption would rise 2 percent this year on better consumption from downstream sectors like infrastructure, automobiles and machinery. Automobile sales in the country is expected to reach 29.4 million units in 2017, up 5 percent year-on-year. The World Steel Association expects global steel demand to reach 1,622.1 million metric tons this year and 1,648.1 million tons in 2018. Demand excluding China would rise to 856.4 million tons, up 2.6 percent in 2017 and 882.4 million tons, up 3 percent in 2018. T V Narendran, Chairman of the Economics Committee at the World Steel Association, said, "we expect global growth to moderate in 2018, mainly due to slower growth in China, while in the rest of the world, steel demand will continue to maintain its current momentum." Both advanced and developing economies are exhibiting stronger economic momentum this year. Confidence and investment sentiment is improving in a large part of the world despite some financial market volatility and growing concerns of stock market over-valuation, according to the report. Also on a positive note, global trade is gaining momentum despite worries about rising protectionism and talks of rearranging existing free trade agreements.